Discreet aesthetic treatments for women and men can be a difficult subject to speak about for those seeking these services, let alone a business trying to market these services. Wise Medical Laser is one such business that we’ve had the pleasure of recently working with. 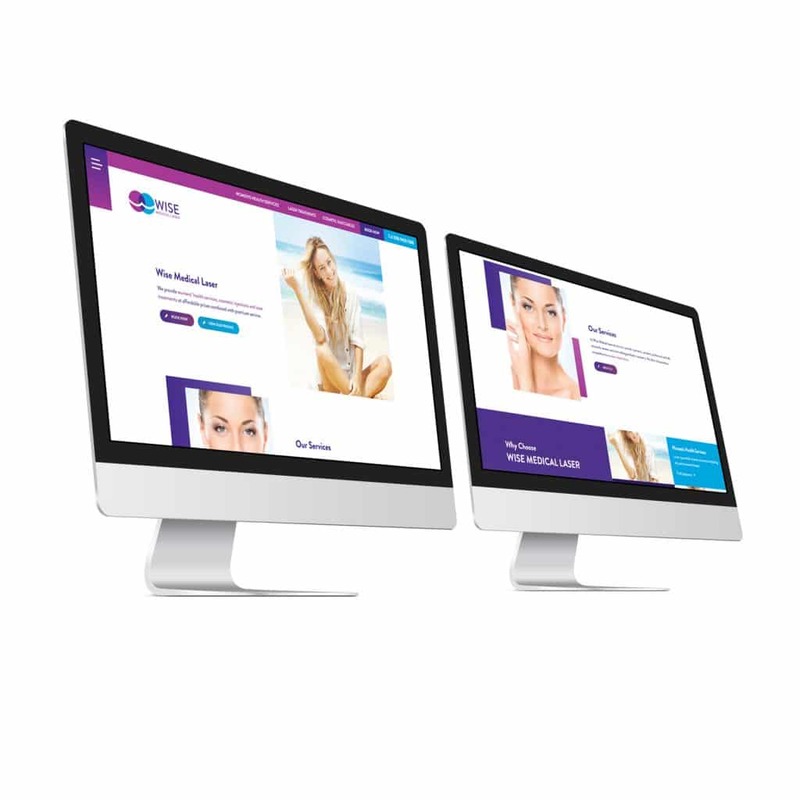 Founded by Dr. Melanie Wise who has over 20 years of experience in women’s health services as a local GP, Wise Medical Laser was looking to establish a brand and digital footprint that would represent the new business as safe, professional and welcoming. Our first task was to create a strong and simple visual brand to be used across platforms in addition to establishing a social media presence and engaging website. The visual language in the initial logo design was carried throughout the creation of the website and through their social media presence – creating a unified and consistent visual brand. The logo was designed to subtly give the impression of an owl, taking full advantage of the “Wise” name as well as creating something soft and welcoming to immediately create a sense of trust with the potential clients. It was a real pleasure working with Wise Medical Laser as they had a clear vision, with established goals and a real idea of who they were targeting. We think it’s safe to say we managed to reach those goals for Wise Medical Laser and provide them with all of the functionality that they required to get up and running digitally. A great aspect to the relationship between Meta Creative and Wise Medical Laser was also the opportunity for us to create a fully functioning digital system from the ground up, connecting everything from an administration view and allowing them to really get moving with their best foot forward. Victor Fauszen, our resident Digital Director, was the primary designer of the architecture for the site using WordPress, being responsible for the overall layout and functionality. Victor stated his approach to the design was to “go with the flow” and try to convey the same feeling of trust and approachability that had been achieved by more established businesses in similar fields. Checkout Wise Medical Lasers site and see what we mean. We’re really proud of this one!